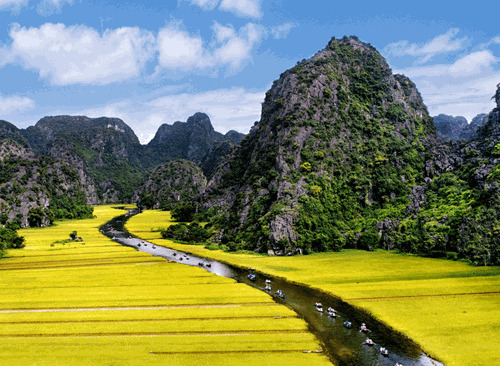 Vietnam in every aspects for the first-come traveler. 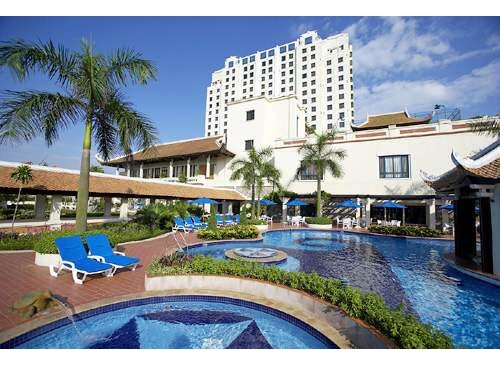 The tour takes you to the most well-known destinations of Vietnam. This exotic harmony of the impressive nature and local culture painted artistic paintings with a harmonious combination of human and scenery loveliness: Hanoi is slow but gentle like Vietnamese women, Ha Long shines in the midst of the wonders of the world - like the national pride of Vietnamese, Hoi An and Hue was dressed by in romantic, Sai Gon has something rush but very liberal. The Mekong is quite simple but full love. Let Viet Excursions accompanies you with a commitment to top quality service that will add value to your vacation. 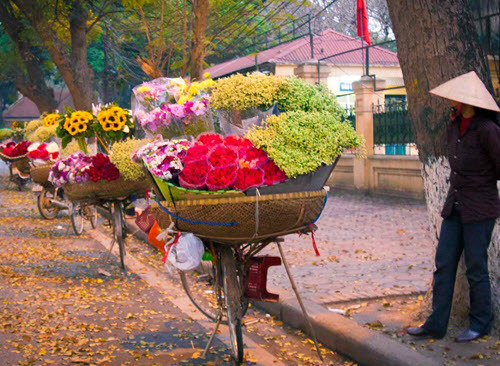 Upon arrival in Hanoi, meet your guide, and then transfer to your hotel in Hanoi. Take a full day city tour in Hanoi - is a unique city with tree-lined boulevards, French colonial architecture, peaceful lakes and oriental temples. The city tour includes such sights as the Ho Chi Minh’s Stilt House & Mausoluem (closed on Monday and Friday) , the One Pillar Pagoda, the Temple of Literature, Art Museum. In the late afternoon, visit the Museum of Ethnology (closed on Monday ) and then take a one hour cyclo tour (Vietnamese rickshaw) to see the Lake of the Restored Sword and the Old Quarter. In the evening enjoy Water Puppet Show. 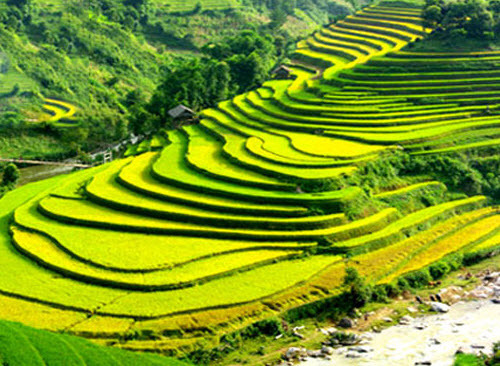 Transfer to Hanoi railway station to take train to Lao Cai by Vietnam Train Railways. Upon arrival in Lao Cao in the early moring. Breakfast at local restaurant .Take a walk to Cat Cat village, visiting the local people, wandering through rice paddies, waterfalls. Continue to Lao Chai village; take picture of paddle field and visit minority house and school. You will then be able to walk from Lao Chai to Tavan village where the Giay ethnic minority hill tribe lives. Visit Sapa open market where the hilltribes such as the Hmong, the Dao, the Tay, sell their own products like fabrics, hats, scarves. Mingle yourselves with the hilltribes’ daily activities. Breakfast. Drive to Bac Ha town. The road is relatively flat from Lao Cai to Bao Nhai bridge. After crossing the bridge, you begin our journey up to Bac Ha. Bac Ha market, located in the heart of Bac ha small town is the largest one in the area. Every Sunday, the different and colorful ethnic minority come all here to sell their homemade products or buy something for the family. They are Hmong, Phu La, Back Dzao, Tay or Nung minorities. Some of these ethnic minorities can’t be met in any other areas. In the afternoon, you drive downhill towards Lao Cai for about half an hour. You stop on the way (before reaching Lao Cai) to take a short walk to Trung Do village inhabited by Tay people. Tay villages are always set up at the foot of a mountain or along a stream and are named after a mountain, a field, or a river. Each village contains about 15-20 households. A large village is divided into many small hamlets. The houses are built on stilts or level with the ground. Stop by a traditional Tay house for a cup of tea before taking a boat cruise upstream the Chay River. The scenery is very beautiful on both sides of the river. The boat trip will end at Bao Nhai bridge. Breakfast at hotel. You will be taken by car to the Silver Waterfall; from there you can see the stunning views of the surrounding mountains and the lush forests belonging to Hoang Lien National Park. Along the way, you can stop by a farm for a cup of tea while your guide explain about this special part of Sapa where many species are grown such as plum tree and squash. Following you will continue by car to drive uphill to Heavens Gate, the highest stretch of road in Vietnam as well as the provincial border of Lao Cai and Lai Chau provinces. Here you will have a fantastic opportunity to view the magnificent scenery. Then visit Tam Duong & Binh Lu Villages. Transfer to Lao Cai station take train back to Hanoi by Vietnam Train Railways. Arrive in Hanoi in early morning. Breakfast at local restaurant, Visit the flower market and the lake – where local people practice Tai Chi. Leave Hanoi by road for Halong Bay. 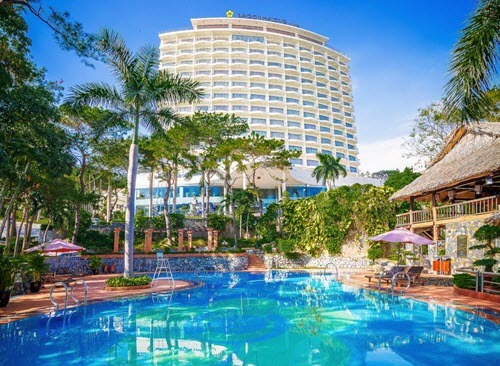 08:00 – 08:30	Pick-up at hotel and start the 3 hour-and-a-half drive to Hong Gai Tourist Wharf, check in Oriental Sails JSC’s private waiting hall - The OS Lounge. 12:30 – 13:00	Embark on Calypso Cruiser followed by cruise briefing. 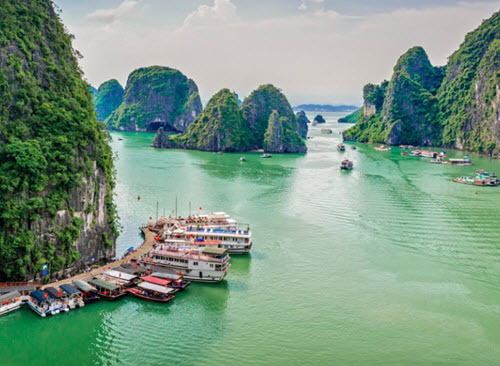 13:00 – 15:30	Savor a delectable lunch as Calypso Cruiser cruises further along the limestone islands of Bai Tu Long Bay. 16:30 – 17:30	Return to Calypso Cruiser and have bath then relax as the sun starts to set. 06:30 – 07:00	Start your day with Tai Chi exercise on the sundeck. 09:30 – 10:00	Check-out room. Luggage can be delivered to the reception area. 10:00 – 11:00	Head back to the Harbor. Have early lunch on board. Disembark Calypso Cruiser at around 12h00. Back to Hanoi. Transfer to the airport for flight to Hue. 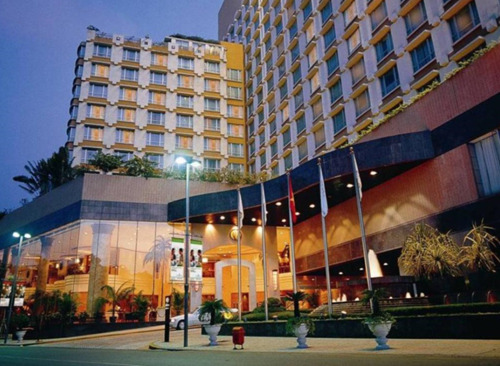 Arrive in Hue, meet your guide and transfer to your hotel for check in. Breakfast. Take a boat trip on the romantically named Perfume River, and visit Hue’s best-known religious site, the Thien Mu Pagoda, Minh Mang tomb Then visit the Imperial Citadel from where the Nguyen Dynasty ruled between 1802 and 1945. Then visit the elaborate mausoleums of emperors Tu Duc, Khai Dinh and the Tu Dam Pagoda. Leave Hue for Danang. Arrive in Danang. 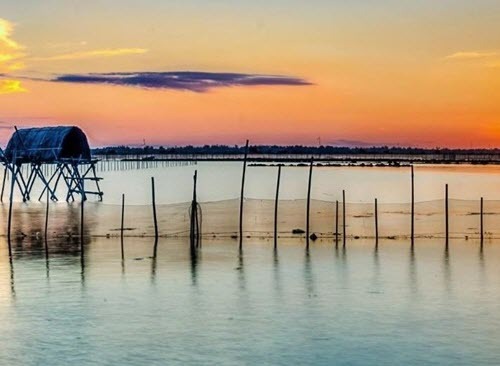 Continue to Hoi an – is a major Asian trading port in the 17th and 18th centuries, whose architecture and relaxed lifestyle has changed little over the years. Breakfast. Take a walking tour of the ancient town center to visit the former merchants' homes, the 400 year-old Japanese Covered Bridge and the Fukien Assembly Hall, Phuoc Kien temple and the colorful market. In the afternoon, enjoy a cruise on the Thu Bon and visit local craft villages. Breakfast at hotel.Leave Hoian for Danang. Transfer to the airport for flight (VN115 0940~1105) to Saigon. Arrive in Saigon, meet your guide. 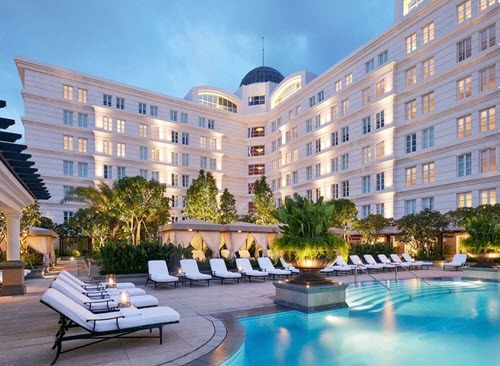 Enjoy a city tour of dynamic Ho Chi Minh City, still called Saigon by many locals, takes in the former Presidential Palace, the Notre Dame Cathedral, Old Saigon Post Office, Visit Ben Thanh market, the War Museum & Thien Hau Pagoda in the city’s bustling Chinatown. In the evening, enjoy the AO Show. Early in the morning excursion on boat to visit Cai Rang floating market. Visit fruit orchards. Drive back to Saigon. Transfer to the airport for flight back. 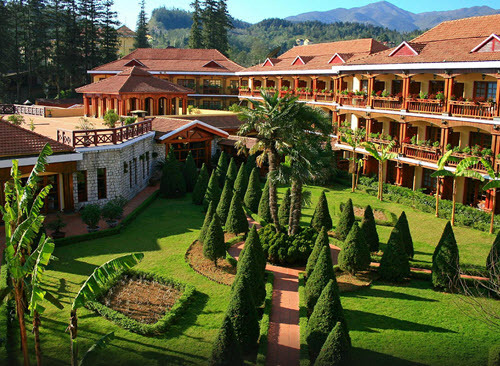 •	Be curious and different by the rooftop of Indochina in Sapa. 1 & above $1.398 $699 $485 $ The rate is valid till 30 Apr 2019 for Group tour. Private group please contact for best rate.